Join a Parker 20 Group! 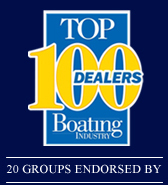 A 20 group is comprised of non-competing dealer principals who meet together three times a year for 2 ½ days. The purpose of the meetings is to improve the professionalism and profitability of each dealership. Learn how other successful dealers run their businesses. Receive group input toward solving problems. 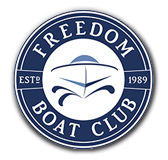 Choose a manufacturer-endorsed “branded” group or an “open” group, which represents a mix of brands and boat types. A thorough understanding of your own financial picture by comparing your financials to other successful dealers. Access to other crucial management reports. All members agree to confidentiality of information. The meeting location rotates among group members. The host dealer receives the benefit of a group site visit and critique. $425 per month billed quarterly in advance. One time registration and set-up fee of $750. Plus travel expenses and prorated share of meeting room charges. Please Contact Us with any questions about joining a 20 Group with Parker Business Planning. We would love to hear from you.